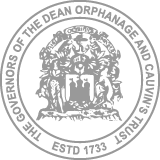 Dean and Cauvin Trust is one of Edinburgh’s oldest charities, established in 1733 by merchants in the city to rescue children and young people from the streets who were begging and prostituting themselves to survive. They established residential accommodation which would appear austere by today’s standards but was ground breaking at the time and gave children opportunities that would have otherwise been denied them. The Trust’s board have managed to provide a continuing service to the children of Edinburgh since the Trust’s inception and to this day work to support young people to fulfil their potential regardless of their life experiences. Dean and Cauvin Trust provide a range of supports to young people making the transition from being looked after and accommodated to living independently in the community. We provide a range of supported residential placements and single supported tenancies to young people between the ages of 15 and 21 years and offer a ‘Continuum of care’ based on early intervention and relationship building to young people through our dedicated Through-care and Aftercare Service. Our residential service at Cauvin House provides accommodation to young parents and their children offering parenting support and assessment, in order to keep families together. We also offer a community base care and support package provided from the Through-care and Aftercare Service at the end of the residential placement. Dean & Cauvin also run Room4U, a fostering service providing high quality full time and short break foster placements for teenagers and young parents and babies accommodated by local authorities in Scotland. Our foster carers provide skilled care and support to the young people so that placements last as long as needed and benefit the young people and babies concerned.